Words Out Loud returns to Babushka lounge in Ballarat on Thursday, November 24, 7-9pm, for its next session of spoken word. To mark the final event of the year, Jessica Wilkinson will headline. Jessica is the founding editor of RABBIT: a journal for nonfiction poetry, which celebrates its 20th issue in November. 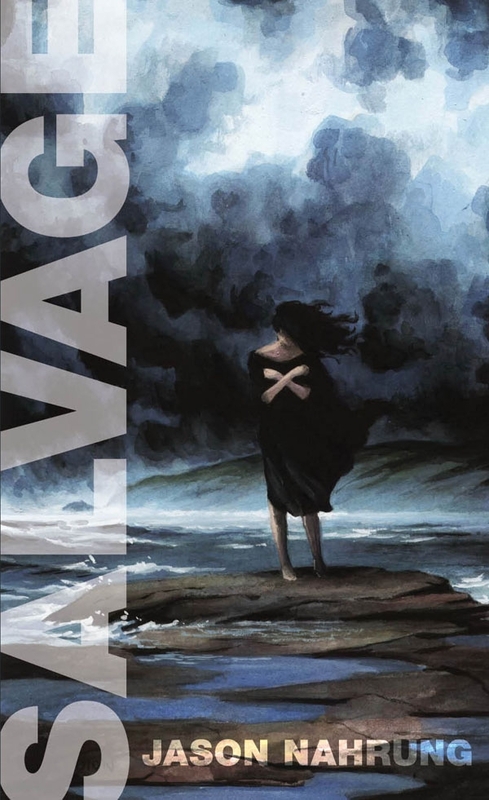 She has published two poetic biographies, marionette: a biography of miss marion davies (Vagabond 2012) and Suite for Percy Grainger (Vagabond 2014). She is currently writing up a third, on choreographer George Balanchine, research for which was undertaken at the NYC Public Library and Harvard under the Marten Bequest Travel Award. She is Senior Lecturer in Creative Writing at RMIT University, Melbourne. Writers, readers, poets — all word lovin’ folks with a hankering to share the love are invited along, with five-minute open mic spots on offer. Babushka has excellent sound and backing tracks can be accommodated. You won’t find a friendlier venue. Sadly, Babushka has announced it is likely to close at year’s end, so this a chance to farewell this most excellent host. The event has a nominal theme of “on the edge”, but as always, performers are encouraged to take the theme and run with it for their 5-minute slots — or ignore it altogether! Make a flap. Aim for the sky. Let your words (or someone else’s) soar. Words Out Loud is “winging it” when it returns to Babushka lounge in Ballarat on Thursday, October 20, 7-9pm, for its next session of spoken word. The event has a nominal theme of “winging it”, but as always, performers are encouraged to take the theme and run with it for their 5-minute slots — or ignore it altogether! 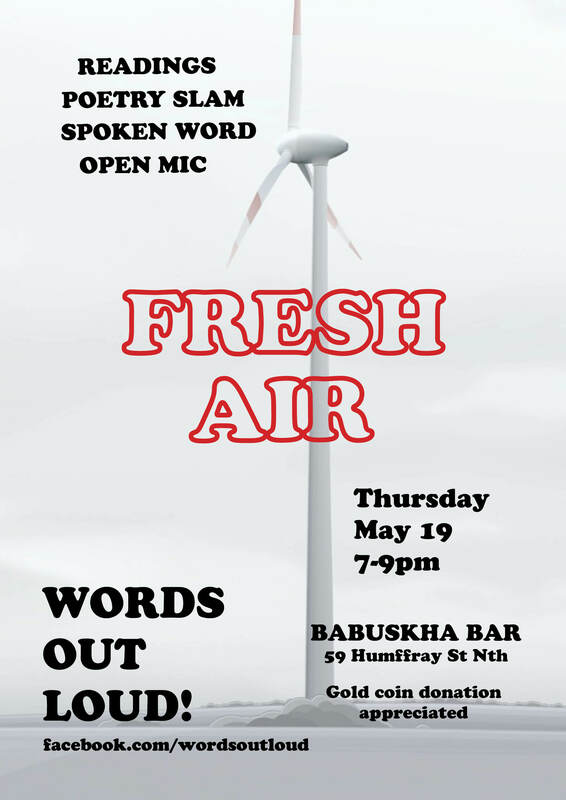 Words Out Loud returns to Babushka lounge in Ballarat on Thursday, September 15, 7-9pm, for its next session of spoken word. The event has a nominal theme of “new leaves”, but as always, performers are encouraged to take the theme and run with it for their 5-minute slots — or ignore it altogether! Share “the road ahead” when Words Out Loud returns to Babushka lounge in Ballarat on Thursday, August 18, 7-9pm, for its next session of spoken word. While the theme is “the road ahead” (make of it what you will), it isn’t compulsory! Share your own work or something that has moved you, or just come to enjoy the performances and meet district writers. Words Out Loud is striking while the iron is hot in July — it’ll be running on the SECOND Thursday, rather than the usual third. The theme is “light it up”, and it’ll be giving ol’ midwinter a run for its chill with hot spoken word and blazing slam poetry! Writers, readers, poets — all word lovin’ folks with a hankering to share the love are invited along, with five-minute open mic spots on offer. As always, performers are encouraged to take the theme and run with it for their 5-minute slots — or ignore it altogether! 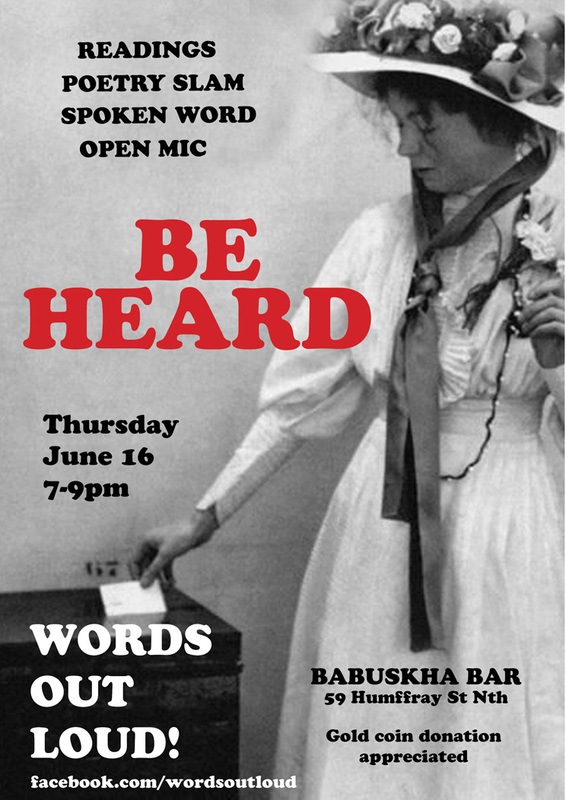 Words Out Loud will be held at the wonderfully warm and welcoming Babushka lounge in Ballarat on Thursday, July 14, 7-9pm.